Instagram is super awesome, because not only do I not get solicited weight loss pills and housecleaning services in my feed all day, but I also find really cool creative folks- often with the help of other really cool creative folks. 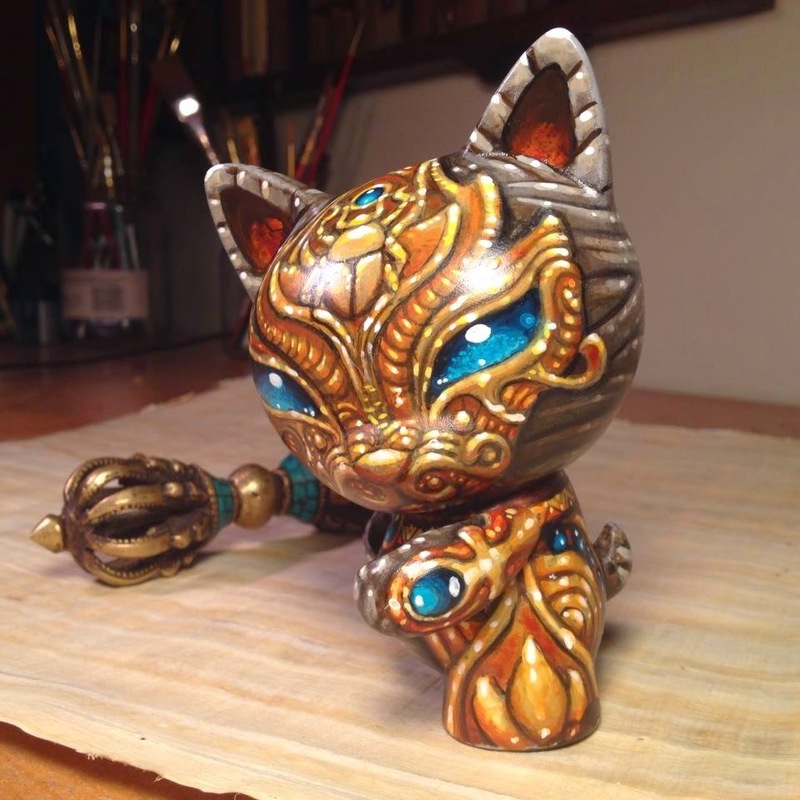 Sculptor @KevinPasko made me aware that painter @professorrix Aaron Rix would do well to paint more toys for us to enjoy. 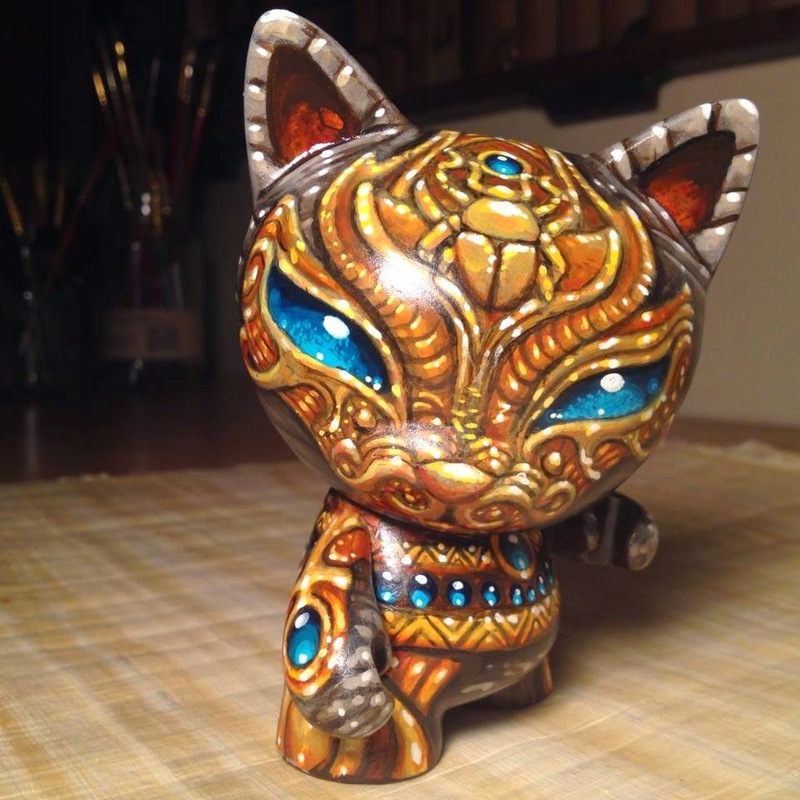 Aaron is no stranger to painting, though this is the first time he's applied his skills and ideas to a vinyl toy- and it's beautiful. 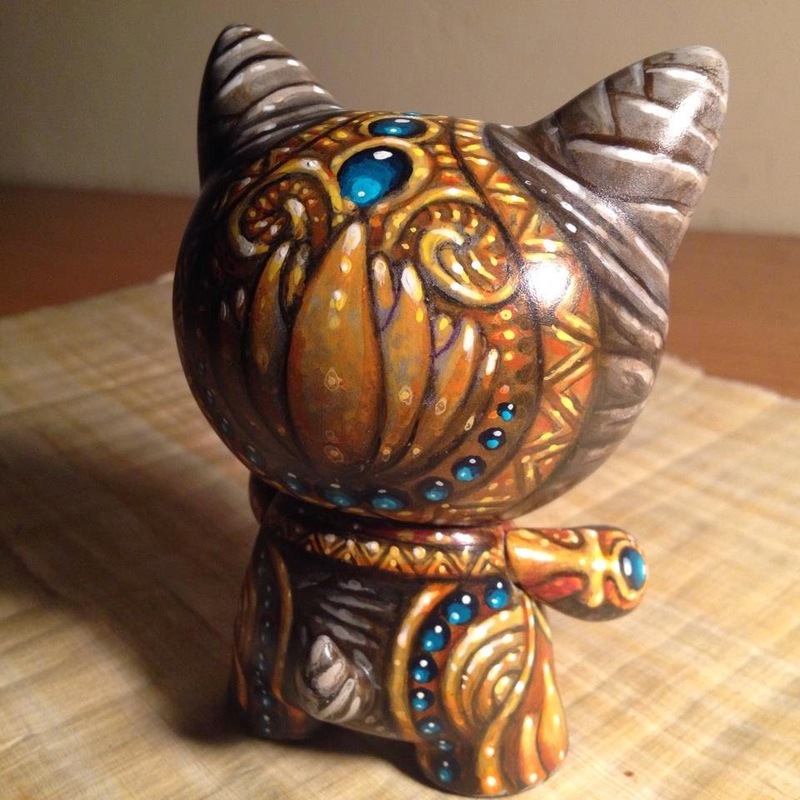 This Egyptian themed Kidrobot Trikky, titled "Jeweled Mummy Mau", looks like it should be behind glass in a collection of ancient artifacts.